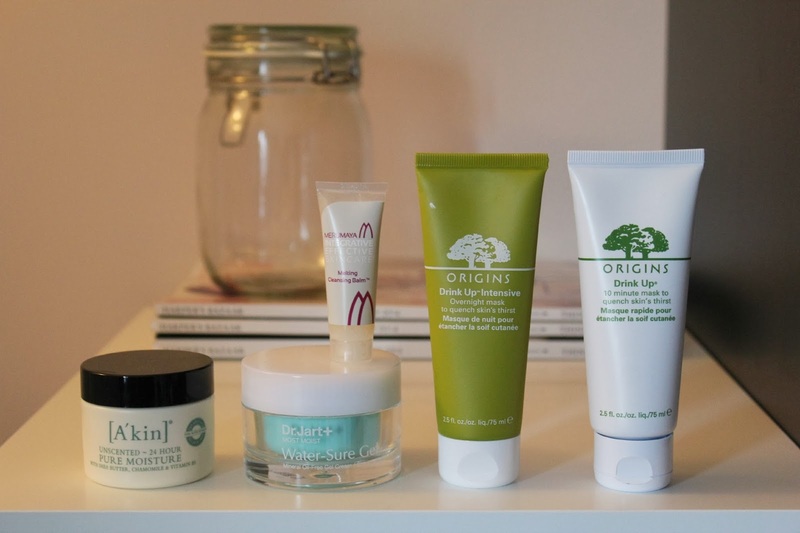 After reading my rave review the other week, I think you all know how I feel about the Origins Drink Up Intensive Masks, and these have been my ultimate go-to for any time when my skin is feeling a little lacklustre and needs some plumping, nourishing action. Then, there is the Dr Jart + Most Moist Water Sure Gel, which basically has the same function as Hydraluron in a pot in my eyes. I use this daily under my moisturiser. It is packed with hyaluronic acid which just does the best job at holding in all the moisture it can (it is known for holding 1000x its weight in water), and my skin has really been seeing the difference. I think that once this is run out, I will purchase the full size. Finally, I have the Akin Unscented 24HR Moisture* which is a moisturiser that I use lightly in the day to offer hydration and a good base for my makeup, and then I apply it a little more generously in the evenings and I find it still offers enough hydration to last me throughout the night.